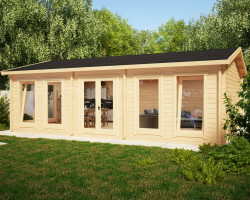 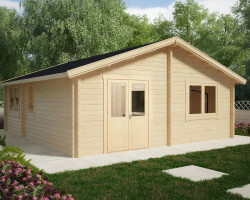 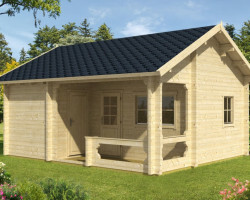 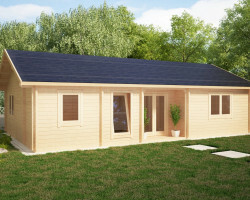 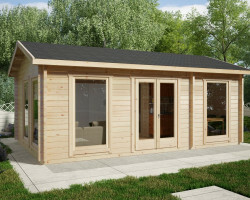 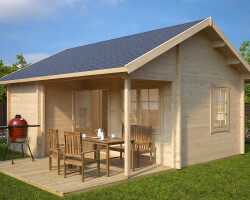 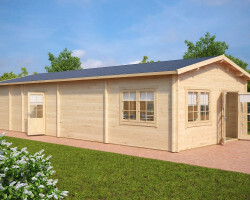 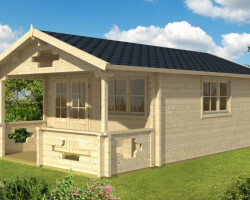 Garden log cabins with 70 mm wall thickness are the maximum garden buildings. 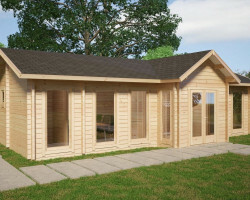 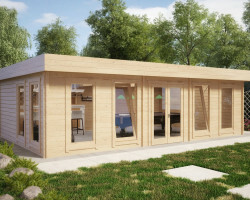 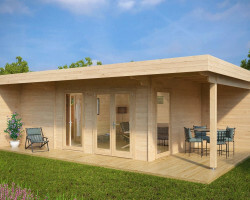 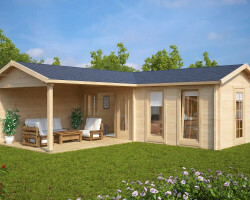 70 mm walls are also used for garden sauna cabins for insulating purposes and for some timber garages and wooden carports that need extra strength. 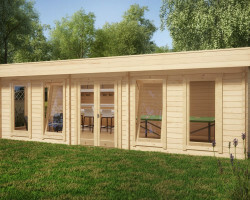 All leisure buildings with 70 mm wall thickness have 28 mm floor boards, 18 mm roofing including roofing felt, as well as double glazing in windows and doors. 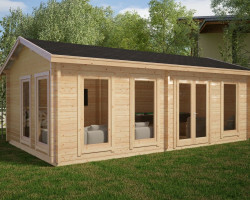 These are all Hansa Garden standard features. 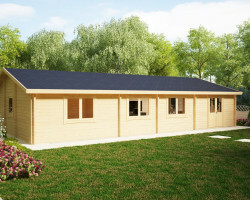 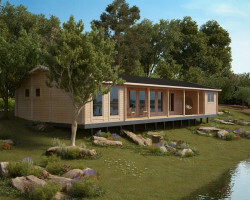 As you can see, most of the products are not exactly garden rooms but large summer houses and even weekend log homes. 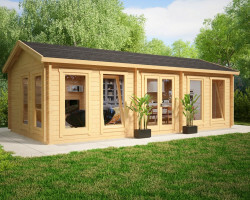 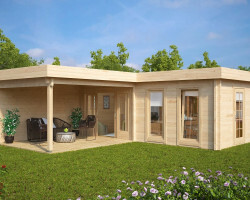 70 mm thick walls are not very widely used for garden rooms and other wooden garden buildings. 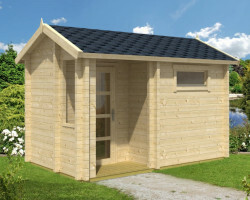 The reasons are pretty simple: First of all, 40, 44, 58 mm wall thickness is already strong enough for almost all possible garden offices and wooden sheds. 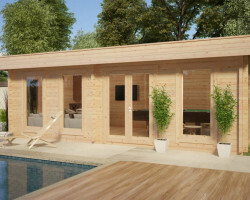 Secondly, the amount of wood used takes the products price to a less cost-efficient level. 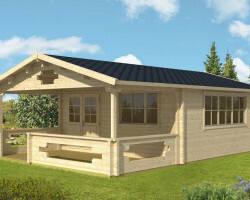 The few exceptions are Armin and Sommerland garden log cabins with verandas. 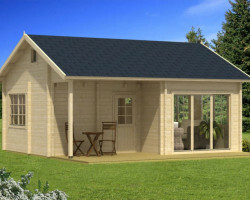 For these models we got our inspiration from old classic buildings. 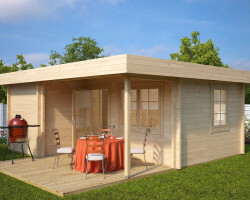 They are hard to imagine without thick and massive walls.